The South has changed dramatically since the 2000 Census with a large influx of immigrants. 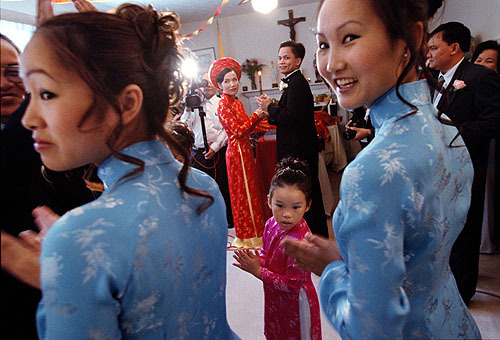 This series focuses on four stories in Atlanta, and highlights the tale of one Vietnamese student, Bich-Hien “Amy” Nguyen (right). Her four-part series, a 2003 Pulitzer Prize finalist in national reporting, followed the fortunes of young immigrants and others coming of age on the rim of the new world. Hull takes readers inside the sights and sounds of change. Perhaps most provocatively, Hull attacks the fear of offending that paralyzes many reporters, causing so much writing about race and ethnicity to turn bland in the name of sensitivity. She challenges the notion that reporters should avoid stories that play to racial or ethnic stereotypes and offers up steadfast reporting as a cure for those damaging, one-dimensional portrayals. 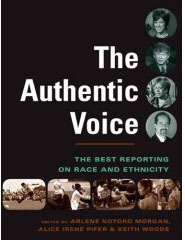 Part 1 of the series can be found in The Authentic Voice book and DVD. Read the rest of the series here. Nallely Ortiz, aware of the daunting odds for young Latinos in the South, tries to journey upstream from her family’s humble beginnings. Amy Nguyen’s Vietnamese family wants her to focus on becoming a doctor. She wants more from her American life. Adama Camara left the West African country of Mali and now finds himself a black man in the American South. Hull was online to take questions and comments on her four part series and the people she profiled. Read a transcript of her interview.